NOTICE: Activation key must be used on a valid Steam account, requires internet connection. ABOUT THE GAME	Time for some 16-bit retro revenge! Hell-bent on saving his cat, Max must carve a bloody path through a zombie-infested California, tearing his way through hordes of the undead, battalions of corrupt soldiers, and a slew of evil-minded ex-cons. Pull off crazy combos, collect power-ups, wie… ld super weapons, and unleash insane magic attacks as you fight to become the amazing 16-bit side-scrolling hero you've always believed yourself to be! SYSTEM REQUIREMENTS OS: Vista 32bit CPU: Intel Core 2 Duo 2,2Ghz GPU: 6th generation Intel HD graphics RAM: 2GB Disk Space: 1GB	© 2016 and published by Koch Media GmbH, Austria. Deep Silver is a division of Koch Media GmbH. 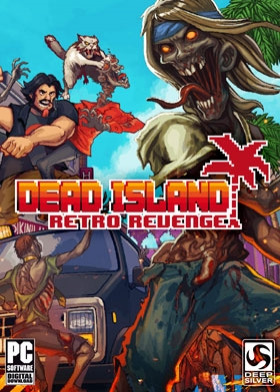 Dead Island, Deep Silver and their respective logos are trademarks of Koch Media GmbH. Developed by TECHLAND Sp. z o.o. All other trademarks, logos and copyrights are property of their respective owners. All rights reserved.